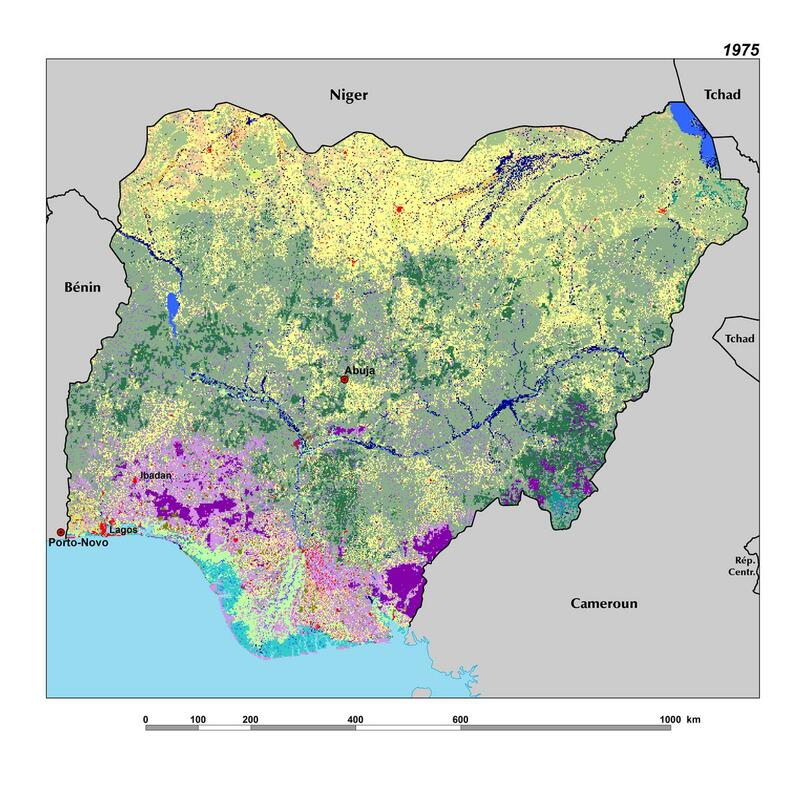 The majority of Nigeria’s heartland is formed by the valleys of the Niger and Benue Rivers, which merge into each other, making a“y-shaped”confluence. The Niger River and its tributaries create a lifeline for Nigeria’s agriculture in the semiarid northern and central parts of the country, as they supply water for a variety of food and cash crops. The coastal plains are found in both the southwest and the southeast, mostly covered by swamp and mangrove forests, merging into highly degraded forest inland. 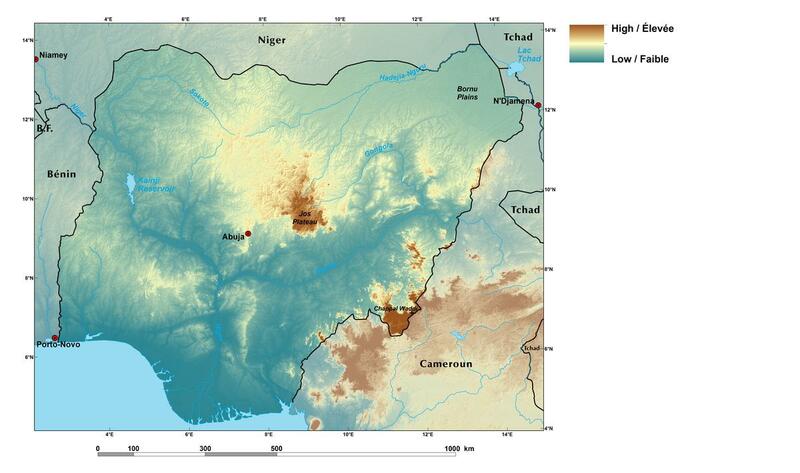 To the southwest of the Niger valley lies a rugged landscape defi by the Western Plains (WP) interspersed with the Western Highlands (WHL). The heavily populated Jos Plateau with its semi-temperate climate, Nigeria’s largest area above 1,000-m elevation, rises prominently from the riverine plains. The northern part of the country is characterized by somewhat lower elevations, level terrain, and sandy soils, where agriculture dominates.